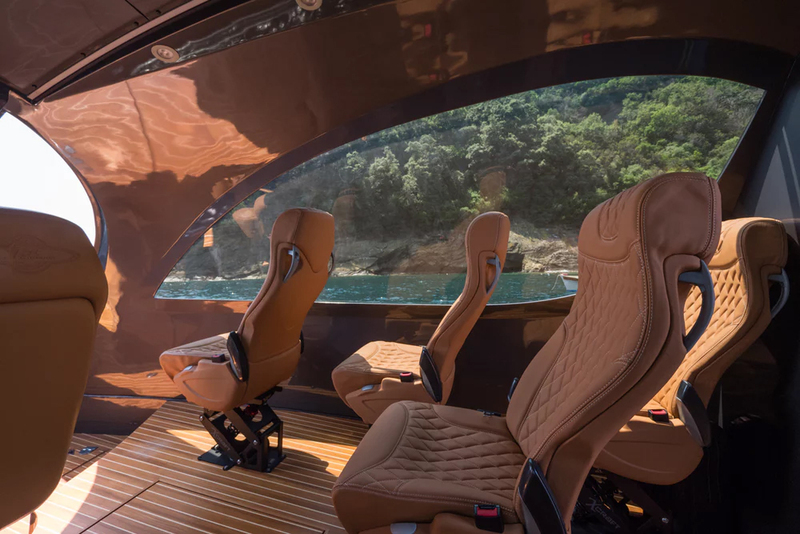 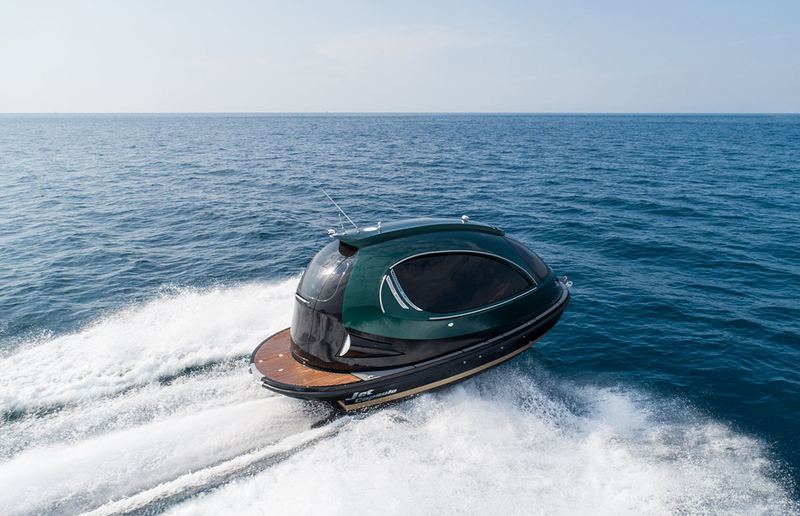 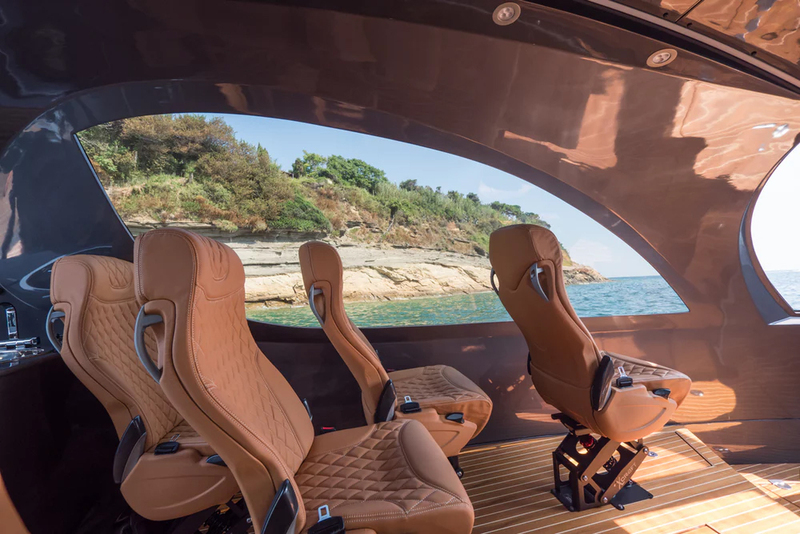 Designed by Jet Capsule, this ridiculously cool water vehicle was dubbed Royal Version 001 and it’s ready to offer a luxurious experience on water to anyone who gets one. 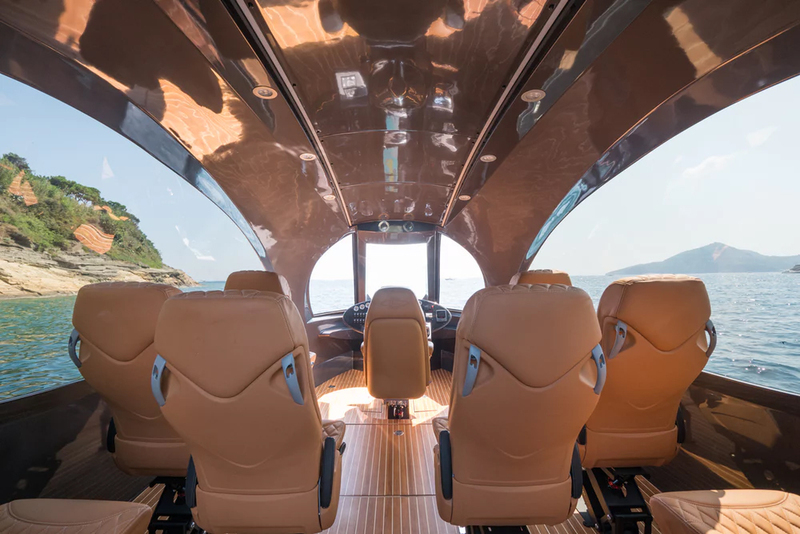 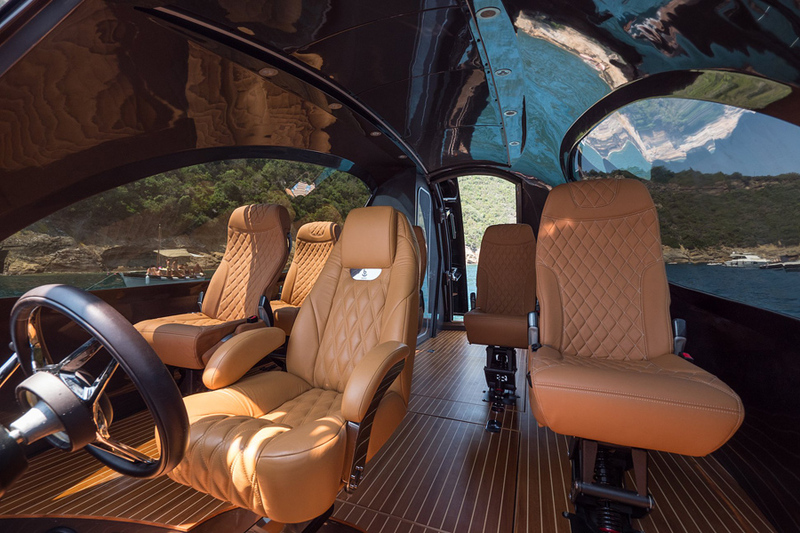 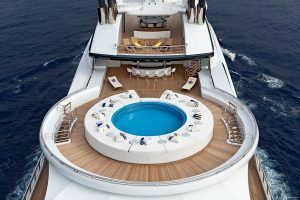 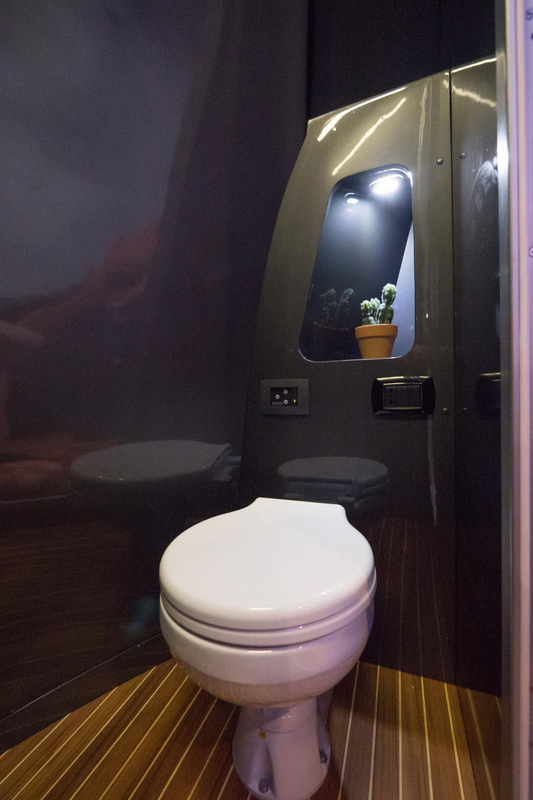 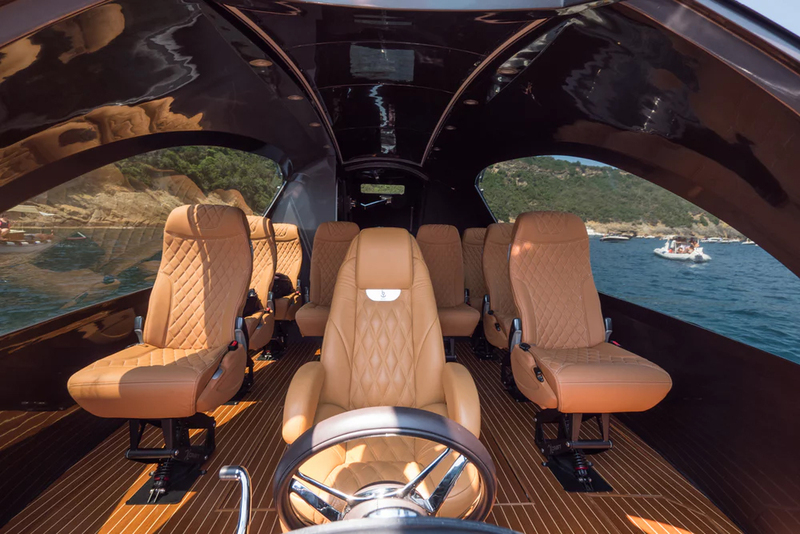 Tailor-made for every client, this stunning jet capsule offers 18 square meters of deck space, with springy seats for up to 9 people on board, a toilette room and also a dinette or bar corner in the rear side. 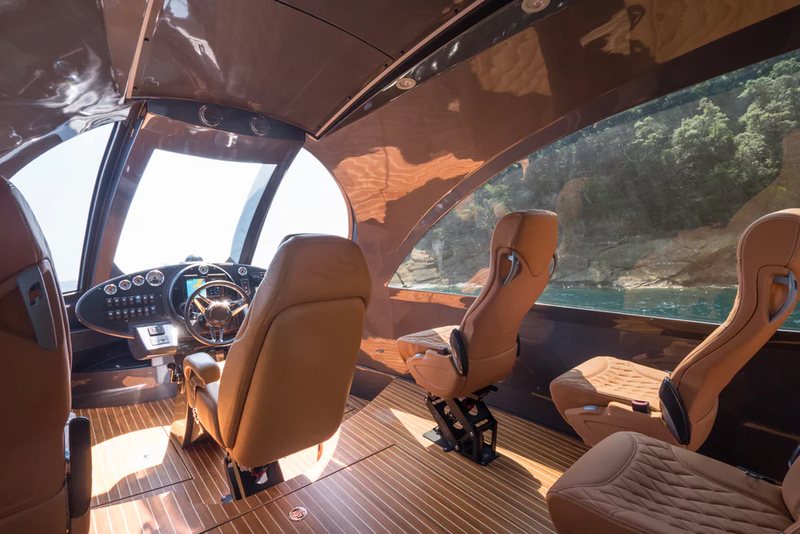 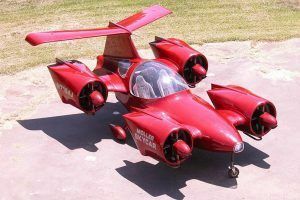 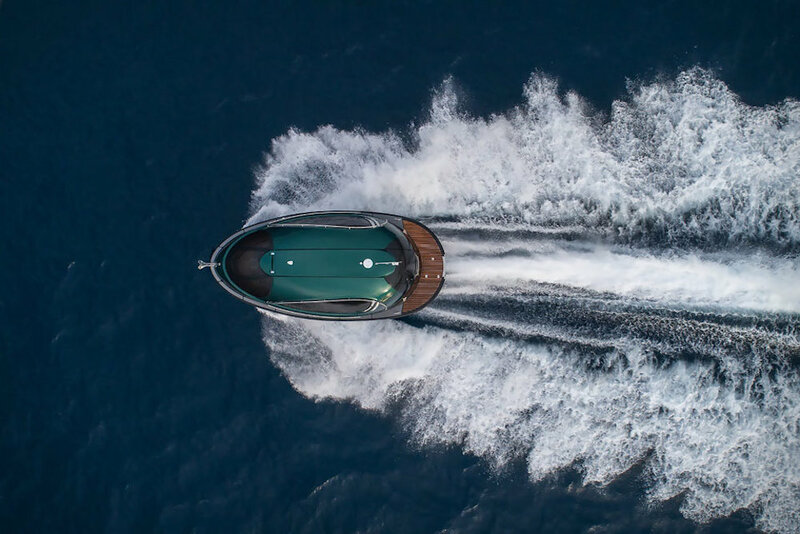 The tiny shell-looking sea vessel can be powered by Yanmar diesel engines, with a power range that could go from 370 hp up to an impressive 1040 hp, coupled with Hamilton jet drives, that propel it to breathtaking speeds between 32 and 62 knots. 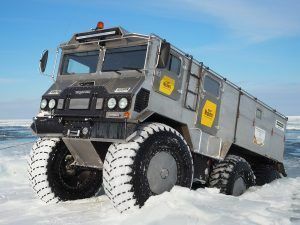 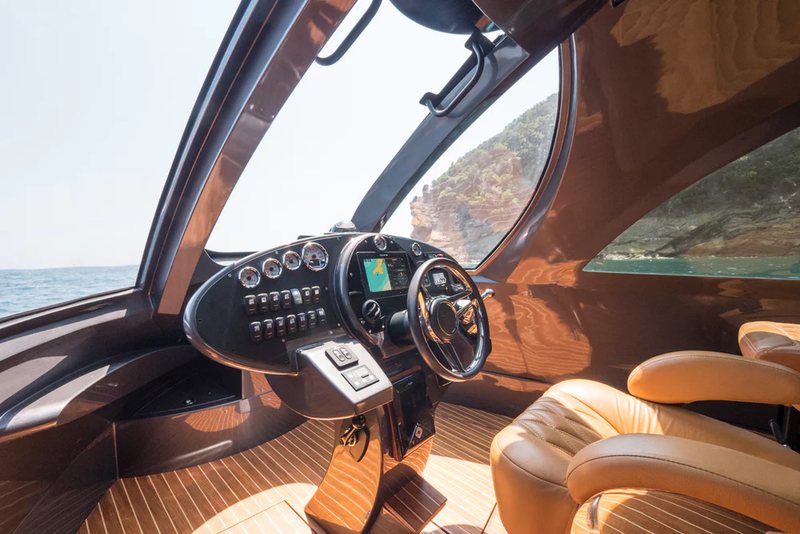 On board there’s also an air conditioning system, that crates the perfect atmosphere inside, no matter the weather conditions. 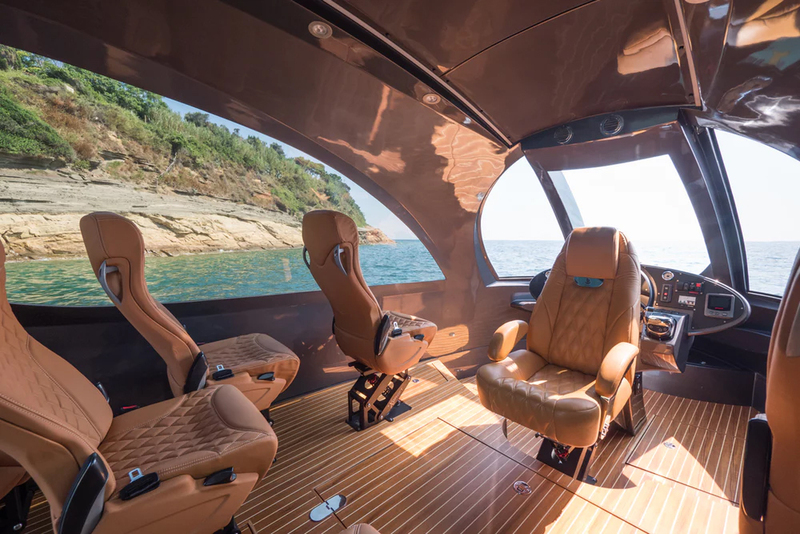 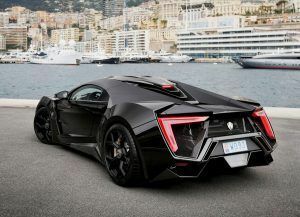 Among other interesting details, there’s an automatic rear door and automatic front windshield, and also a pair of twin 40 hp Torqeedo Deep Blue electric engines that can push it forward at a decent speed of 12 knots, with no other power source. 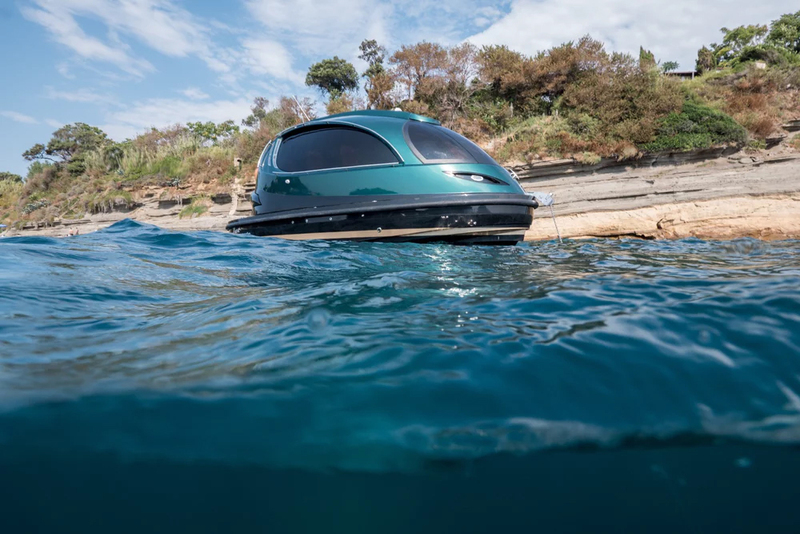 The little ship has a length of only 7.95 meters, a width of 3.44 meters and a height of 2.3 meters, which makes it the perfect vehicle on the water. 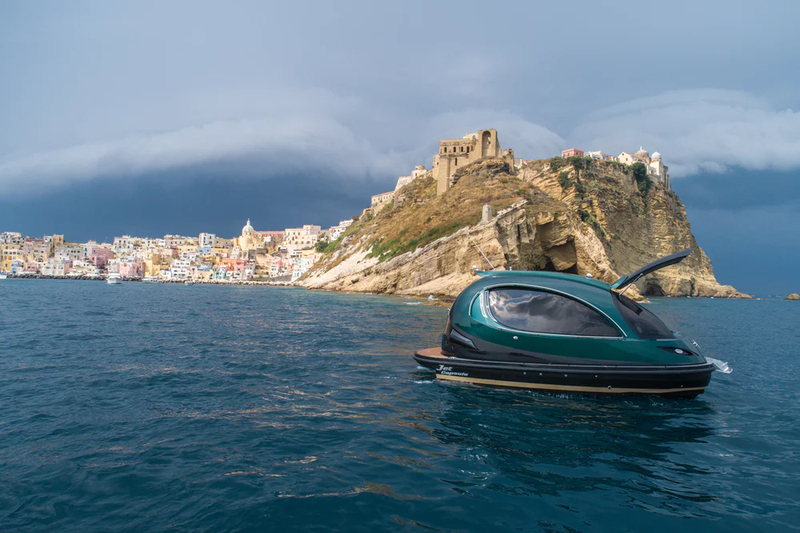 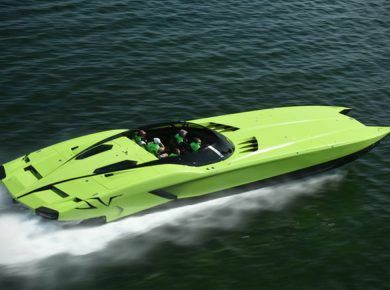 The standard autonomy reaches 200 nautical miles, but it can be increased to a total of 300. 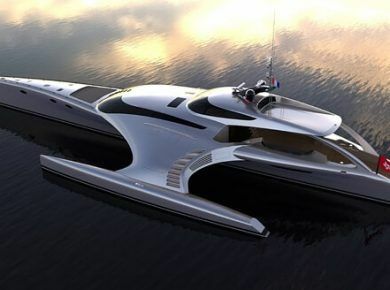 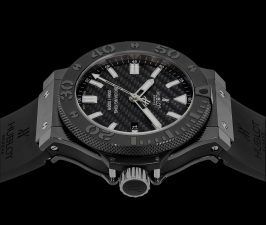 And don’t forget to check 10 most expensive yachts in the world.